Celebrate Little Mix's first UK number-one album - Glory Days - by reading the full story of the girls' astonishing rise to pop super stardom. Our World is full of exclusive photos and inspirational stories about Jade, Perrie, Jesy and Leigh-Anne's unique friendship. Little Mix are the UK's most successful girl band. They first found fame - and each other - on The X Factor in 2011. Five years later they have gone from strength to strength, achieving huge global success. With three platinum-selling albums in the UK and over 14 million record sales worldwide, the band are both adored by their fans and critically acclaimed for their brilliant music. In this book the girls share the real behind-the-scenes story of both their personal lives and their success. They reveal the many highs - what it feels like to perform in front of thousands of people; the excitement of seeing your music soar to Number One around the world - but also the lows. Through it all the girls have had each other, and their incredibly close friendship has grown stronger and stronger as the years have gone by. Now the girls are like sisters, and in this book they share their journeys and how it feels for your dreams to come true. Brimming with exclusive photos, this book shares with us the girls' innermost secrets - their hopes and dreams for the future, their families, their relationships, their style advice and above all their friendship. 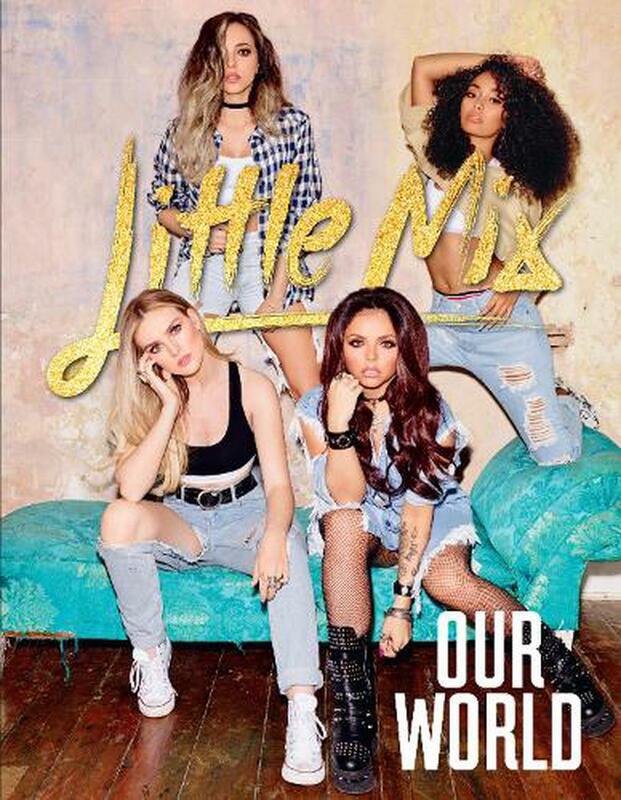 This book is Little Mix's story in their own words and tells you everything you need to know about their lives both in and out of the spotlight. Loved and critically acclaimed across the world, Little Mix are one of the biggest musical groups in the game. Since winning The X Factor in 2011, they've amassed over 12 million record sales worldwide, had two platinum-selling albums and are in the middle of their second sell-out arena tour. In this, their hugely anticipated second book, the girls provide an insight into life as the world's hottest girl group. Sharing their most personal experiences, they talk about friendship, reveal the truth about their relationships and all the lessons they've learned on their incredible journey to superstardom. Little Mix are the UK's most successful girl band. They first found fame - and each other - on The X Factor in 2011. Five years later they have gone from strength to strength, achieving huge global success. With three platinum-selling albums in the UK and over 14 million record sales worldwide, the band are both adored by their fans and critically acclaimed for their brilliant music.